As a planner for the last 10 years I've probably gotten on the dance floor and danced maybe twice. And with the Dj, D'Vinci rocked it all night long. Upon request of the Bride and Groom for an All 80's dance music set, he had everyone dancing and wanting more. And like I mentioned, even I had to get out there and strut my stuff. I hope to work with D'Vinci again. He made my client's happy and I had a blast getting to know him! The way to go D'Vinci!! David Nadeau, Fantasy Sounds Unlimited, Inc. I hired D'Vinci's DJ service, Fantasy Sounds Unltd. For my 40th birthday party. He was very friendly, organized and knowledgeable on a lot of different genres of music. I'm glad he was, because I am very picky about my music. He gave me a very good price quote and included the set-up and he even M.C. 'd all of the party. This really set the tone and made my friends and family have a great time. I referred him to a couple family members and they also really enjoyed his service. As soon as I have my next big milestone I'll definitely D.J. D'Vinci of Fantasy Sounds Unltd. again. Plus he was super cute! DJ David is awesome! He was our DJ last month in July in Newport, RI and I'm so happy we found him! He cares about the wedding as much as the bride does! He's very thorough and writes down all the details. He'll go down the song list and timeline with you and makes sure your wedding will be perfect. A friend had told me that finding a good DJ will make or break your party, so I'm so glad he kept the party flowing and was so accommodating to me even the day of the wedding when I was changing things on him last minute. Several friends at the wedding are engaged and looking for a DJ and they asked him that night if he was available for their wedding! That speaks volumes if that's what the guests said too. Trust me. He's great at what he does. Plus, he's overall a really nice guy! Hire Fantasy Sounds Unlimited, and have fun. DJ D'Vinci s a true professional I was so happy he was a part of our big day! I have known D'Vinci for a while and I have seen him DJ other weddings and he was always on point! For us he went the extra mile and was our officiate as well! So he DJ'ed and he married us. So he was a big part of our day in more ways than one. He set up on time kept the party moving and was always making folks laugh and feel at home. My family loved him, my wife loved him and I still do! He is the right man for any occasion. Great Job!!! As a banquet captain I work over 250 events a year. 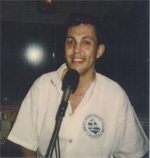 I have worked with DJ D'Vinci from Fantasy Sounds several times. D'Vinci is not only professional; he is also personable and accommodating. Flexibility is an absolute must in this profession and he understands that. Also, one thing that many people don't realize is that a good DJ can't just spin tracks, they must also be a good MC. DJ D'Vinci is an excellent MC. Highly recommended! Always great working with you D'Vinci. David of Fantasy Sounds Unlimited was our DJ about 2 weeks ago and he was absolutely wonderful! He played all of our requested music and his dance playlist was great as well. Working with David was super easy and he's extremely organized and professional. I would great recommend him if you're looking for a great DJ. DJ D'Vinci is AMAZING!!! He was born to spin. I hired D'Vinci to DJ my huge, swanky party and every single guest fell in love with him. People literally danced the entire evening and there was a collective "awww¡¨ from the crowd when he announced the last song was played :-) DJ D'Vinci is able to really read the crowd and play music that will really get people up and moving. His talent and knowledge of music spans generations and cultures. It doesn't matter what event you are planning, you need to call him now!! You will not be disappointed. D'Vinci will be my permanent DJ for any event I plan in the future. He's that good!! Mr D'Vinci was detail-oriented and added a personal touch throughout the night that made my husband and I, our family, and other guests feel special. For example, my Mom wanted to hear a specific oldies song. When D'Vinci played it, he didn't just play it; instead, he announced, "This next song is a special request from the Mother-of-the-Bride" which made her feel special! On our list, we specified the song we wanted played 2nd to last and the one we wanted played last. Before the song came on D'Vinci announced, "This is the bride and groom's 2nd to last song of the night..." After our final song played (romantic Frank Sinatra song), we decided we wanted to hear one last song that was more upbeat. D'Vinci was kind enough to accommodate our request. We would use Fantasy Sounds Unlimited again for a future event and we highly recommend him to anyone. David was the perfect D.J. & M.C.. He had great energy without being over-the-top, evasive, or cheesy. David allowed us to email him 25 songs prior to the wedding that we wanted to hear at the reception and, as far as I can remember, he played almost all or all of them! In addition to the 25 dance/party songs, we provided some examples of the music type (Frank Sinatra, Louie Armstrong, etc.) we wanted played during dinner. The songs he selected to fit this genre were on point. He will be recommended to our friends. 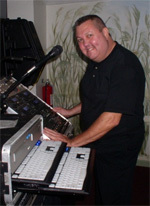 DJ D'Vinci was one of our best wedding vendors. Every time we spoke via phone he was professional and thorough. He offered to meet with us in person, but due to my then fiance and I being tight on time, we were not able to do so. Regardless, we felt confident in DJ D'Vinci's ability to deliver a quality service. With so much competition out there, David representing Fantasy Sounds proves why he's the right choice ¡X price, pure professionalism, and personality. You'd be missing out if you went with anyone else. Great party entertainment, due to a great DJ. My daughter's friends are still talking about what a great Bat Mitzvah she had, and how awesome DJ D'Vinci was with the perfect mix of dance tunes, games, and upbeat songs. My sister will be calling you to coordinate her children's parties soon. Thanks for all the sweet memories. My husband and I will call on your services again. Our son's Bar Mitzvah is in 2 years. Thanks for the incredible party atmosphere you provided at our wedding. It was exactly what we wanted. You are brilliant with the music. People are still talking about the fun they had. I always believed that what makes a wedding a successful is the music. D'Vinci made that happen! Thank you so much! Not only did you keep the crowd moving, you made sure my husband and I were happy. We would like to recognize and acknowledge the exceptional work provided by the DJ, D'Vinci, providing the music and entertainment for our wedding reception. From the mood music during dinner, our special songs and the dance music, everything came together better than we could have hoped. This combination of music and entertainment provided by DJ D'Vinci made a special and fun evening for everyone. D'Vinci's ability to keep things moving along at a constant flow to work the crowd, created an atmosphere of fun and excitement that was contagious to everyone. We do not feel there are enough words to express our gratitude for DJ D'Vinci's hard work. Everyone should hire Fantasy Sounds Unlimited. Everyone will be satisfied hands down. Thank you sincerely, for a great job at our parent's 50th wedding anniversary banquet. My parents and their friends had a wonderful time dancing to their personal selections. You played music for everybody without taking a break for 6 hours. Your quality sound stage setup was perfect and fit in with our theme. We will call you again. Best wishes to you always. See you in 2014. My friends and I were very satisfied with your Dee-Jaying Services. You mentioned when we conference at your office you were a true professional doing this full time for over three decades. I can understand the work you put into our event. You have a rare talent to coordinate many kinds of music with many different age groups. I work at a banquet facility and see so many Dee Jays. That's when I told my husband about you. You are very professional. We see you really enjoy your work. Hope to see you again soon. Thank you for a great time at our son's 25th Wedding Anniversary. My husband does not dance, but you motivated him to do his jig of jigs, and we all smiled with tear to see him dancing. You know your business well. My daughter wants to hire you for her husband's birthday next year. We look forward to another good time. Power to Fantasy Sounds Unlimited. David Nadeau, aka DJ D'Vinci Our special day was a success due to your entertainment services. My husband and I are very happy we hired your company's services. Everyone is still talking about the DJ D'Vinci. My friends said you played every song they requested and they liked your personality. You are an outstanding professional individual. We wish you well. Thank you! DJ D'Vinci is the Bomb! Thank you for an outstanding job for my mom's 40th birthday celebration. You kept everybody happy and dancing. The video my brother taped tells the story of a great time. You are our DJ choice for the next occasion. Also, thank you for the beautiful photographs you shared with us. We will treasure this day forever. Thanks so much for the entertainment you provided our pre-school graduation party. EVERYONE had a blast. You're professionalism and enthusiasm was very much appreciated. I can't tell you how many students said it was best. Well done, and thanks again. Many thanks to for the entertainment you provided for our wedding. I have gotten so many complimentary comments on the evening, from the young and old, due in no small part to the great dj entertainment. One of the young ladies said it was "the best wedding she's been to ever, and she's been to many!" Everyone loved the karaoke and dancing. David, you managed to get in everything we wanted, and the song selections were great. I didn't even get to go through the whole book! I was also impressed with your sound system. I was a little worried with the size of the room, but everyone sounded great. Thanks a bunch. Thank you so much for doing such an amazing job at our wedding! Everyone had the best time and we got a lot of compliments on the music. You really helped to make it a special day. We can't thank you enough! We will suggest you to all our friends. David Nadeau Esq. Everyone has been telling us how much fun they had at our backyard barbecue get-together. I believe most of that was due to the music played by a professional D.J. Thanks, David! We will do it all again next year. David was in constant touch with us throughout the planning process and was very easy to talk with. We would hire him again in a second. Great music! Fantasy Sounds Unltd., Inc with DJ D'Vinci did an awesome job at our engagement party. He was very courteous and respectful throughout the evening. D'Vinci has a great voice making announcements. He played everything I asked, including popular classic disco music as a special request from me. He also was able to make helpful suggestions when I didn't have a particular song in mind for something. I highly recommend him and his company. We will be using his services at our upcoming wedding. David did a super job DJ'ing. With over 220 people in attendance, the turnout was amazing and everyone was really impressed by the music, sound, and lighting he had set up. Also, his willingness to take requests, and run with them was awesome! 5 Stars for DJ D'Vinci, Pro DJ! We planned our wedding from afar - living in California and planning a wedding in Rhode Island can be daunting. We interviewed DJ's over the phone and though we liked two others we spoke with, David was a clear winner. Then we met him and considered moving to RI, just so we could hang out again ;-). He is so personable, fun and amazing at his job. His dub office/studio is awesome, classy (we love the mirrors-walls) and he was always a gracious host. We felt like he really listened to what we wanted yet provided important input and suggestions. In fact the more we spoke with him, the LESS we wanted to have our music. We knew he understood the vibe we were going for at each event in our wedding and were confident he would create the right mood. We were exactly right! He provided the sound and lighting for our wedding outside, the cocktail hour (under the grape vineyard), dinner and reception under the big top tent. At every point the music was perfect, which is exactly what we were going for. D'Vinci even found the PERFECT mother/son song for my fiance. Steve and I wanted to thank you again for making our banquet AWESOME. It was even better than we could have ever imagined. The dance floor was packed the entire night thanks to you. We appreciated your professionalism. Our guests said you were the best DJ they had ever seen at a banquet-party and we agree! We will definitely recommend you to anyone looking for a DJ, thanks again. Just wanted to send a big THANK YOU for being such an awesome DJ at our wedding reception party. You kept everyone dancing and having a good time. I don't think I ever saw the dance floor empty. The songs you picked and the way you mixed were genius! So, thanks again! You were great! We absolutely loved it! David Nadeau, you are most was amazing Disc Jockey! I have hired many, from club recommendations to seeking the phone book. I couldn't ask for anything more from you. I cc'd you on this email to make sure you know that everyone at the wedding kept talking about how great of a job you did. Please share our thanks with him ASAP. Here's something that I overheard at our wedding from a friend, "That D'Vinci is awesome. I want to like hang out with him and be his friend." How are you man? I got to say, that was a great party and you're the reason why. Everyone I have spoken too after the wedding said that was one of the best weddings they had attended. My wife and I really appreciated you, your professionalism, and your talent to throw one hell of a great party. I will be posting a review on your website soon enough. I want you to DJ my birthday parties from now on... your incredible. Ain't no party like D'Vinci playing a mixed aged party! Thanks again. Take it easy. DJ D'Vinci was gracious and helpful from the first phone call. I don't know how the decision was made to have him, but he couldn't have done a better job. He was so pleasant, patient, happy to accommodate my many and (a few) unusual requests, and seemed genuinely interested in having the music draw people in for dancing' and singing'. He was warm and friendly to all my guests, as well as my nephew and his buddies too. Several people commented on how much they enjoyed his contribution to the festivities. From the start of the event until the last song, DJ D'Vinci kept the dance floor crowded with a mix of music that appealed to all in attendance. We are looking forward to hiring D'Vinci again next year. Thank you so much for helping to make our parent's 40th Wedding Anniversary such a fun and memorable day. You were so helpful, and very responsive to what our family and guests wanted. A big thank you for ensuring that all the necessary things were taken care of. My Event was a Christmas party for our Young Marines group ages 6-17 with their siblings and parents. DJ D'Vinci was wonderful in accommodating to our special needs. He was the best DJ. He did a great job; the kids had a lot of fun. The music selections were great. He said he was having difficulty with a few guests being under the influence too much, but we didn't notice. I plan on recommending Fantasy Sounds to all my friends, and use them for our future events. Thank you for sharing such a memorable day in our lives. Your presence, love, and generous gift were much appreciated. It was very special to have you celebrate with us as we begin to create wonderful memories in our new lifetime together. You're the very best! Thank you again for sharing our special early Halloween Evening with the children. You are very professional with your business. That was a big concern of ours. We hope you have a very happy holiday season. We will call on you for Halloween 2013. Thank you for everything. Fantasy Sounds did to help make or wedding day perfect. Everyone was so impressed and raved about DJ D'Vinci. The dance floor was always packed, and people danced to the end, after 6 hours. Thank you very much for doing such a terrific job on our wedding day. Everybody is still talking about the wonderful and professional DJ that you are. We will highly recommend you to everybody. Thank you for helping us to celebrate our new journey as husband and wife. Our gratitude can never fully be expressed. You helped make our wedding day truly special. Thank you. You know how to ¡§Party the Bodies¡¨ on the dance floor. My friends never had a DJ at a party and you convinced them you have the power over the best of Wedding Bands. My husband and I were thrilled we hired Fantasy Sounds. You made difference with your talent, and skills. Nice sounds system with booming music. We are planning another event at our home next year. We look forward to having a gala event with you again. Thanx for the personal touch! Thank you for your wonderful disc jockey services. My family, friends had a fun-loving good time at my gala 50th birthday party. My daughter will be in touch with you soon to schedule her wedding plans including DJ D'Vinci of Fantasy Sounds Unlimited. You have all thumbs up when it comes to DJing. Thank you for the Special Discount. Hope this helps your business. I will call on you again soon! You're a fantastic Disc Jockey! Your song list was amazing. We were all able to sing karaoke to any song we wanted-- even if it wasn't available as a "karaoke song" (with lyrics and no vocals), people were able to just pick up the microphone and sing!! It was fabulous, and we've had guests tell us it was the best wedding reception they'd ever been to. Thank you so much, David. It was the Best Day Ever, and I will totally recommend your company to everyone. Fantasy Sounds was amazing! Everyone at our wedding had such a great time. We appreciated the way you custom tailored our music selections. Everyone danced to their genre of music. You have an outstanding music selection. We will refer you to all our friends in the future. David did a great job for our Corporate Holiday party. The venue did not have the best set up arrangement, but he made the best of it. This was our first year utilizing a DJ service for this event, and the overall feedback was extremely positive. I will be calling David after the new year to confirm our next holiday party. Thanks again, David! Our event could not have gone better. David was on time, accommodating and very professional in every way. The price he charged was exactly what they had quoted with no extra charges. He even stayed an extra hour for which I paid the same price per hour as the first part of the night and he would gladly have stayed longer if we had needed him to. I will definitely use Fantasy Sounds again. DJ D'Vinci was very successful accommodating our needs. He found the song I really wanted played. He was quick to play requests and everyone liked the lights. Several people asked how I found him because they thought he was great. We will definitely request him for future events. I simply wished to thank you personally for the gift of music which you provided at my recent college graduation party. You played all the contemporary and classic music which me and my guests desired and the tunes really made the night. Once again thank you for a superb job. Thank you for helping to make Frank's 60th birthday party such a festive event. You did an awesome job! I received many positive comments from our guests (of all ages) on what a terrific job the DJ did, and I must agree. The dance floor was filled throughout the night - a testament to the great selection of music you played as well as to the positive energy with which you do your job. It was a joyous and memorable evening, of which you were an integral part. I also wanted to let you know that I appreciated your professionalism and dependability throughout our dealings. It was a pleasure working with you. If your party has gotten off to a quiet start .... well let David start to play his music and I guarantee you that he will have the crowd dancing in seconds non-stop .... forget the food .... let's dance !!!!! Marie, Joe D. Sr, & Jr. Thanks for your note and the pictures from our prom last night. Our students had a great time. The best testimonial I can give about Fantasy Sounds is that the dance floor was full and hopping all night from beginning to end. You got the students dancing immediately; they were able to choose the songs they wanted to hear and you involved them all evening. Thanks for the great services and thanks for making our Senior Prom a great success. Thank you so much for last night. I scooted out early, obviously, so I hope everything ended up okay. We had a brunch this morning and everyone raved about the music. Thank you for doing such a great job at the wedding. The dance floor was full all night, and people did not want to leave! That pretty much says it all. We are home!!! We had a BLAST!!!! You did a FAB job. as always!! Everyone loved you David. Thanks for taking pictures!!! I appreciate it sooooo much!!! Hope to see you soon!!!! I was very pleased with the party. My father was also very pleased. All the guests had a great time. You did a fantastic job. I would definitely recommend your services to others inquiring and will keep you in mind for future events. Thank you so much for the great night. Thank you for doing a great job at our Freaky Friday. The kids loved it. Fantasy Sounds did a great job at our school's Halloween Party. David knows how to get the kids involved and they really enjoyed themselves. He is very professional and I would recommend him to anyone who needs a DJ at an upcoming event. Feedback has been great. Everyone felt that we covered the bases with the music, including the bluegrass! But I think the general feeling was that you definitely set the tone by ramping it up after dinner and getting a good cross section of people on the floor. The line dances were great and then all of the new wave that you introduced kept the younglings' out there for the balance of the evening. I will mention it around that you have some openings and hopefully you will get a referral for an event in the future. Again, thanks. I really appreciate your services. Thank you…I think the reunion went great. I agree… my classmates did a lot of talking but I know everyone enjoyed himself or herself. Thank you for your services and have a wonderful holiday! Hi David, I just wanted to thank you once again for a wonderful evening and a great job at Kelly’s and Kurt’s wedding. Thank you for the pictures; they will be a great memento of the evening. I really had a good time. I was somewhat embarrassed about it, but very touched at the same time. I want to especially thank you for taking the time to come with your music. It really added to the evening. the family is loving the movies. Thanks again, Talk too you soon. It is not an understatement when I say it would not been so with out you stepping in and offering to make the atmosphere for DREAMNIGHT, making the children warm and fun. I am sure I speak for the entire committee that works tirelessly on this event for months when I say THANK YOU. I was there in the upper Zoo and it truly warmed my heart to see the kids dancing and running around. I am sure you understand why the success of this event is so important to us all here at the Zoo. David, thank you so much! These pictures are absolutely lovely! There are some priceless moments that you captured here. It really means a lot to us that you did this. It really goes above and beyond disc jockey services. Truly, thank you for this! Your services, as always, was a lot of fun. I know we were very specific about what we wanted, so we really appreciate your flexibility. The night went by smoothly (and what seems like too quickly). You did a great job of moving things along and honoring our requests. Our guests all had a fabulous time, and the night was absolutely magical. Thank you for being there with us and providing a very professional and upbeat service. From one Elvis fan to another, "what a night”, it was, it really was such a night! Thank you for the great job you did at my granddaughters christening. You always make the party fun. Thanks for your years of dedication on making our parties special. Sorry I took so long to get back to you I’ve been so busy. You did a great job. The photos came out good. All went well that day. You did a great job. Wanted to thank you for a terrific job on our reception. Thank you very much for the pictures. As far as appreciating what you did for my daughter’s wedding, we did appreciate all the extra time you put into making sure her day was special. I do think you are a talented DJ and will recommend your services to anyone looking for a DJ. My wife had planned a surprise retirement party for me after 20 years in Law Enforcement. David was very considerate in asking for a list of our favorite music before the event and then he was very careful to put our choices together in an appropriate sequence. We had a wonderful time, and I know everybody else there thought the music choice and delivery was great. David was brilliant at setting the right mood throughout the course of the evening. Whether it’s “old school” classics or the newest hits; David does a fantastic job of seamlessly blending everything together for just the right mix. Young and old alike can’t get enough of David’s party of good times. Thank you so much and I hope to use David again in the future. First had a good time on Thursday. The music was excellent and you really did a good job getting everyone involved. David you do a wonderful job and I would definitely hire Fantasy Sounds Unltd., Inc. for any St. Joseph's and or personal functions. Soup to nuts a great job! I want to thank you for performing and being part of our 25th reunion. You were there when we were in high school and, because you were there 25 years later, we were transported back in time and became 17 year olds again. The music and interaction made our night an absolute blast. And I must tell you; every response to that night included the word Blast. We are hoping to have reunions more frequently and, if successful, would very much like to keep you a part of each one. Thanks again for a great night; one that none of us will soon forget. Well I have not had that much fun in a long time!! The music was kicking and everyone was jamming. You had all the tunes and I only wish that we had the party for a longer period of time because we were all having so much fun!! Everyone commented about how great the DJ was and some people said they wanted to have a party and include the awesome DJ!! I hope to see you again soon and hopefully one of my friends or family members will have a party and include your services!! There is know doubt in my that you are ready to go I am more than confident that you do a slam dunk job I look forward to the day now and I have gotten all the last minute things out of the way. Thank you so much for making my parents 50th anniversary memorable. The music was perfect and the way you DJ played a huge part in the success of the party. Your personality really loosens up the crowd and made all of our guests feel welcome. It's been about 3 weeks since the party and we are still getting a steady stream of emails and phone calls about what a wonderful time they had. I can't tell you how many times in the past few weeks I've heard from friends and family that the songs that were played were perfect for the event and really brought them back. Next event we plan, you can be sure I will use your services. Thanks again for making this milestone event one that will be remembered. This is my testimonial. I love David Nadeau. He has been my DJ for more than 25 years. He has done Halloween Parties, Christmas in July parties, birthday parties, anniversary parties, class reunions parties and just plain old regular parties. I started using David's DJ Company when I was in my thirties. I am now celebrating my 60th birthday and my 40th wedding anniversary. I moved to California 20 years ago and when I come back to RI I always use David for my DJ. He has a fantastic collection of music and his sound system is incredible. All of my friends also enjoy his music. He has done my 20th class reunion and my 40th class reunion. In 2013 I hope he will do my 45th class reunion, too. Keep on playing and I'll keep on dancing!! On June 6th 2010, I hosted a fundraiser in honor of my five-year-old grandson who was diagnosed with Juvenile Diabetes at the age of three. I wanted this event to be special and memorable, especially for the children who planned to attend. I searched for a professional DJ, who would be willing to donate his services, as well as provide great entertainment with the ability to interact with the guests. Let me say that I could not have found a better DJ/entertainer than David Nadeau of Fantasy Sounds Unltd. He graciously accepted the challenge in a loving, supportive spirit. David totally exceeded my expectation in every possible aspect! Not only did he provide music and fun for everyone, but also he willingly shared his personal battle with diabetes. His knowledge and expertise was an added bonus that really heightened awareness about the disease. This event was a huge success thanks to David, as he was able to accommodate every guest request from the children to the adults. His variety of music is extensive, and his professionalism is superb. David is truly a genuine, natural gentleman with great compassion for people and contagious enthusiasm. His deep passion for his work is obviously overwhelming and admirable. Everyone noticed David's outstanding performance and commented on a job well done! It would be an honor and a privilege to have David present at my next event, and I would not hesitate to recommend him to anyone seeking the best in the business. If you want to ensure that your special event is successful, memorable and extraordinary, you MUST have David there! He transforms events into amazing extravaganzas! All my fathers’ family told myself my mom and my dad they absolutely loved the oldies love it love it. U were fabulous tonight I do not like oldies but You played tons of great music tonight. Everyone had a great time and everyone said the food was awesome and it was thanks so much for giving me a great deal on the DJ services for my dad’s birthday. When my dad came home tonight, he told me u were the bomb he loved the oldies everyone did. My fathers’ very good friends said u was great. Great job David. I really appreciated it. We have hired David a number of times. He always does a great job. Takes all requests and always has every song. All of our guests think he’s great. Thanks again Dave, great job as usual. You did a fabulous job at our graduation party! Many of the guests complimented you. You fit perfectly with my friends & family. We will plan to invite you to our DJ our holiday party once I figure out when I am going to have it. Thanks! Thanks for being so accommodating, polite, courteous and well-mannered gentleman. Everyone was impressed that you played everything that was requested, and everyone was 100% satisfied. Thank you again for a great memorable party with great music. We would rebook you again and would send all our friends to you. Scott and I want to thank you for your kindness towards us and doing a terrific job at our wedding. We are very appreciative of all your work at making our wedding special. Who's that handsome DJ! Thank you for your generous gift of $1,225.00. Your concern and support help VSA save lives and prevent suffering. We are all grateful. Thank you so much for helping to create the "perfect wedding". You made the evening absolutely enjoyable for everyone. Thank you so much for fitting in all of our requests and creating such a fun atmosphere. Once again, you were fantastic. Out deepest thanks for your hard work and superb job. Dr. & Mrs. Keith S.
Piglet noticed that even though he had a very small heart, it could hold a rather large amount of gratitude. Thank you for being our DJ. What a fun career you have. Thank you so much. Thank you so much for doing such a wonderful job as our DJ for our wedding. After the wedding we received numerous comments regarding great music and the wonderful time guests had dancing. Thank you for making the evening come alive and keeping it alive through the New Year. Thank you for performing your services on our very special day. We hope that you enjoyed yourself as much as we did. Thank you for accepting the job. Thank you for attending our special day and playing the best party ever. We thank you for being there. Mr. & Mrs. Stephen C. J.
Mr. & Mrs. Craig L.
Thank you for the marvelous music selections you provided for our daughter, Christie's wedding reception on Oct 15th. You captured every age group from those in attendance. Everyone had a great time that night. Thanks again, for a great job you did at our wedding reception. Even though three years have gone by, our friends still talk about how much fun they had dancing! You really helped make our reception memorable. Joe and I would like to thank you for performing at our 25th wedding anniversary. You did an awesome job! I could not stop dancing. Joe also does not dance much. See how much fun you added because our children chose you. Mr. & Mrs. Joseph G.
I would just like to express our thanks for a great show you put on at our wedding. Everyone had a great time. Happy Halloween! Thank you for the lovely music and entertainment. I just can't tell you enough how great you were at my wedding. You were a big success and everyone I see is still boasting about it. My own father was doubtful about not just having a band, but he claims now, that having you was the best idea. I just want you to know that for every occasion, if any, I would have you again because you are the greatest DJ in my book and words can't describe how thankful I am for everything. Mr. & Mrs. Ronald D.
Just to let you know what an excellent job you did. Everybody complemented us on your work. Thank you for making our 50's party a great success. You're the best. 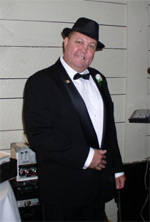 You Dj'd my son's wedding at the Venus de Milo on Sunday evening 9.25.88. I want you to know how pleased I am with the fun and music you provided us with. Thank you so much for play my song, "Joanna" and for the excellent manner in which you told the story and set us up as a "train" to music as to how Steve came to be. Thank you for adding the laughter to our day. Thank you for entertaining us at our wedding. We feel you did an excellent job and we will recommend you to anyone. How are you? The dance the other night was great. It was definitely the best we've ever had. Would you possible be able to DJ another dance for us. I will email the details. Congratulations on a job well done! You did a fantastic job playing the best tunes. For our wedding you are #1 with our friends and family. Thank you again. We will call you in the future. The party was a great success and you were a major part of that. I am sure we will be in touch next spring when Kristen graduates from Providence College. Thanks again for a fantastic night. Have a great summer. Thank you very much for being the "Hit DJ" at my graduation party Sunday, June 12th 2004 and for giving me the cd. You did a great job and everyone is asking me for you card(s)! "Fantasy Sounds" was enjoyed by all. Many thanks for helping my party be a huge success it was. I'd like to thank you again for Friday night's party @ the club. Everyone had a great time and the music was perfect. Thanks also for announcing the racquetball winners. Until the next "indoor" pool party. Keep smiling! Don & I want to thank you for your thoughtful "surprise" gift, it was greatly appreciated. Thank you for doing such a beautiful job at our reception. You received rave reviews, and you certainly deserve it! On behalf of the parents, staff and students at Meeting Street School, I would like to thank you so much for donating your time to provide great entertainment for this first annual Tan-A-Thon recently held at Polynesian Tans in Cranston. Despite the inclement weather, the day was filled with great food and entertainment, tanning and other activities. Hundreds of dollars was raised to help the multi-handicapped children at Meeting Street School. This year, we are celebrating our 40th Birthday in providing the programs and services needed for multi-handicapped people in RI. We could not have been so successful in our endeavors with the great support we received from our many friends. Thanks again, it is friends like you that help to keep the smiles on the faces of Meeting Street School. On behalf of Elmwood Sensors Inc., I want to thank you for turning a "dreaded costume party" into a smashing success! As a matter of fact, a survey was conducted on the last day of the 4-day conference and the results were just as we expected--the Futuristic Dinner Party was rated the best event ever of the entire conference! In addition, letters and cards have been pouring in with notations such as "...great costume party" and everyone is still talking about the wild costume party. Representatives from the theme company, Perfect Surroundings, and the Newport Marriott commented on what a pleasure it was to work with you and how very accommodating you were. Elwood Sensors shares their feeling as well and we look forward to coordinating future functions including Fantasy Sounds Unlimited. Thanks so much for the great music and your contributions to the "fun time" at Gary's graduation party, Sunday May 27. Mary Beth, Brian, and Gary H.
I can't thank you and your brother enough for helping in making our party a success! Everyone had such blast. You couldn't have played better selections of music. If you ever need a convincing voice, send your clients my way. You guys did a great job! Hello, How are you? Well--I would just like to take this opportunity to thank your for everything this past weekend! You are a great person to work with and thank you for all the dedication all night long! Than you Again! Thank you for the wonderful job you did with the music for our wedding. You really know how to get people let loose and have a good time. We hope you enjoyed yourself also. Just a little something to make up for the way West Valley Inn treated you the night you were there for me. And of course to thank you for a great job you did!! You made my parents 25th Anniversary extra special & memorable. It was the big wedding they never had. Thank you again & I hope you like it. P.S. Have a great vacation! Thank you for being our Disc Jockey and Master of Ceremonies and sharing our special day. Most sincerely I wish to thank you for your participation with the "Bachelor Auction". The sounds you provided a significant effect for our special event. You looked sensational. Alan & I want to thank you for a wonderful job you did on our wedding. It was really beautiful. I'm sure everyone enjoyed the music. They were dancing all day. I'm looking forward to tell future couples about you! Mr. & Mrs. Carlos A. B. Thank you for helping us celebrate our fiftieth Wedding Anniversary 9.2.89. The Family of Eugene and Jean P.
I just want to say, you will probably make it to Hawaii. You did an "excellent" job at the Hawaiian Luau Party. I also want to add that you are very delightful to work with. I plan on working with you in the future, so keep on doing what you do best. For a terrific job, as usual! Your music certainly helped make my dance the great success it was! I just wish to say Thank You very much for taking your personal time to give me your professional advice and also helping by going out of your way and give me places. I wish to say Thank You Very Much. Thanks so much for being our DJ. I really don't know where to begin, but you did such an incredible job that everyone wants to know who you are so they can book you for their function. Everyone, both young and old, absolutely loved what you played. We both were so glad that you took care of everything so well; we didn't have to worry about anything. I have sent some friends to you who are getting married. I hope they make the right choice like we did. I really can't say enough about what a wonderful job you did. Thanks A Million. Thank You! So Much! The tape is playing night & day. I love your little surprise at the end. I'm so thankful for you friendship and special way you make me feel. I admire your work, your taste in music, and your ability to put a smile in my heart that I will cherish. Thank you for doing our wedding. We appreciate your efforts to make our day special. ...A Lot! I can't even tell you how happy and shocked I was to see you at my party. Thank you so much for everything you did. The music was great and fun immeasurable. You Helped Make Our Wedding Day Special! Everyone was dancing having a good time. The music styles were mixed well. Thank you for all your help making our wedding day so special. We want to thank you for doing such a wonderful job at our wedding on Sept. 29th at Whites Of Westport. Everyone raved about you. You did a super job keeping the crowd "up"! Thanks to you, our day was special a lot of fun. Just a note to let you know how much John and I like your music for our wedding, Saturday, May 28. We received our wedding "proof" pictures back and have a picture of you. We will send it to you after we choose the ones we want. We both loved the music and received compliments on it. Well, if you ever need anyone for references, please & John & I. Your kindness was appreciated very much. We would just like to sincerely thank you for your successful music performance. Without your help and excellent entertainment, our homecoming would never have been the success that it was. Thank you so much for helping make our anniversary party such a swinging, happy affair. Friends have called and complimented our music man and I must say, you kept the floor full. Harold & I enjoyed every minute. Ernest and I want to thank you for the wonderful job you did at our reception. Everyone enjoyed them selves and thought you did a great job. We are both very happy and well satisfied with you performance. You were very professional and great at your job. We would not think twice about having you again for any function we may want to do. If you can imagine it, you can achieve it. If you can dream it, you can become it. Thank you for your support. Thank you for your expertise. I certainly hope we can work together for Miss America. Thank you so much for the wonderful job you did at our wedding. Everyone keeps talking about the perfect selections of music and the great time they had. You kept the party hopping and helped to make a night no one will forget. We just want to thank you for the excellent job you did at our wedding, Nov. 19, 1994. A live band couldn't come close to the great entertainment that you provided. Continued success in the future! Thank you for putting so much joy into the holidays. We had a great time! You did an awesome job. Tina & the Bugaboo Creek Staff!! We would both like to thank you for making our wedding day wonderful. The music was great, and everyone had a great time. I'm still getting compliments on the slide show presentation. Thank you all your help & patients during the final months. Mr. & Mrs., Richard C. Jr.
Noel and I want to say thank you very much for a great performance. Everyone complimented to us on how a wonderful job you did. They couldn't believe how all the music was played for all the different age groups and how the music was loud enough to be enjoyed by everyone, but not too loud and annoying, especially to older generations. Thank you again for the excellent job well done! I hope to get to see you again at other functions. Mr. & Mrs. Ernest N. J. II. Once again, Thank you for making an occasion "fun". Everyone had a great time. My mother & father-in-law both complimented your good work. I will continue to recommend you to anyone looking for a great DJ and always hope for a long friendship. Mike and I would like to Thank You for a wonderful job. I'm really glad that you were able to attend my wedding. I hope you enjoyed your self? I hope you are able to attend my other functions. I'm recommending you to everyone. Cary and I are just back from our various summer trips and wanted to thank you again for the extraordinary job you did as DJ at our wedding. We really felt that everything about your performance was as we would have most wanted it and then more. So many of our friends and family members have also complimented your work. Your personality shown through beautifully. You managed to play all the songs we requested (and there were many!) but spun them so well that everything fit perfectly. Your emcee work was excellent. You were warm and energetic but took your cues from us and from the tone of the wedding. We've enclosed a cd we thought you might want. (We've been looking for Sam Cook for you but haven't found it yet). Needless to say, we would be very happy to be referenced for you and will certainly recommend you highly. It was a lot of fun. Thank you so much for, once again, giving us a great evening of music at our reunion. You were wonderful! And who knows, there's probably and excellent chance we'll see you at our 20th, if you're still around. If you do move to Hawaii, I wish you all the luck in the world and hope you find true happiness. Thanks again for everything. Doug and I would like to thank you for preparing all of the music of our wedding. You did tremendous job, and we're still hearing praise. Mr. & Mrs. Douglas L.
All untouched original personally hand-written testimonials and all photographs are the sole property of Fantasy Sounds Unltd. Inc. and may be witnessed upon written request at corporate office(s) by Appointment Only.